SOMALILANDERS:- According to a press release published by the Representation of the Food and Agriculture Organization of the United Nations (FAO) in Iran, Governments, civic groups and businesses need to rally support for both immediate relief to people in countries at risk of famine and longer-term initiatives that will allow them to recover and restore their livelihoods, Ambassador Amira Gornass, Chair of the Committee on World Food Security (CFS), said. Some 30 million people in the four countries are uncertain where their next meal will come from or are reliant on humanitarian assistance. 'I urge you to take action now to relieve the impending suffering and to prevent further damage to livelihoods,' Ambassador Gornass wrote in a letter to CFS Members and stakeholders, as well as the international community at large, to step up their response to the crises in the four countries. CFS is an intergovernmental body aimed at achieving a world free of hunger. Its inclusive platform is structured to allow participants from civil society, the private sector and other non-state actors, especially the food insecure, to have a voice in discussions. 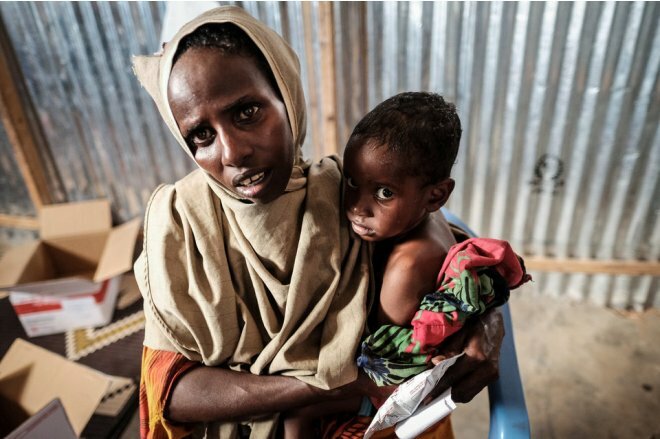 The risk of famine in all four countries is mostly induced by conflict, which has disrupted food production, blocked aid and commodities from accessing vulnerable communities and driven food prices beyond what people can afford. The Inter-Agency Standing Committee (IASC), the primary mechanism for the coordination of humanitarian assistance, emergency and relief responses, can meet immediate needs if adequately funded, Ambassador Gornass wrote, reiterating calls made by UN Secretary-General, António Guterres. Everyone should do what they can to support the IASC and to mobilize the necessary resources to enable emergency and relief activities to continue, she added. 'The affected populations of these four countries need our help now. We, as the international community, need to act urgently and come together with effective actions,' she said. In 2015 CFS approved the Framework for Action for Food Security and Nutrition in Protracted Crises (CFS-FFA) that sets out concrete policy approaches that can build resilience. All stakeholders, public and private, should apply the principles and actions laid out in that document in the four countries and wherever there is a protracted crisis that threatens food security and nutrition. Using a multi-stakeholder, inclusive approach, CFS develops and endorses policy recommendations and guidance on a wide range of food security and nutrition topics. These are developed starting from scientific and evidence-based reports produced by the High Level Panel of Experts on Food Security and Nutrition (HLPE) and/or through work supported technically by The Food and Agricultural Organization (FAO), The International Fund for Agricultural Development (IFAD), World Food Programme (WFP) and representatives of the CFS Advisory Group. CFS holds an annual Plenary session every October in FAO, Rome.